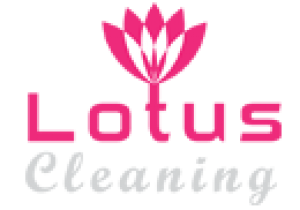 Cleaning services for all kinds of domestic and commercial premises. Paul’s Cleaning Melbourne provides cleaning solutions for busy homeowners and businesses. We provide a complete portfolio of services, which can cover the needs of even the most sophisticated clients. The cleaning technicians we employ possess all the needed certifications, they are background checked and insured with public liability. They also bring all the needed equipment and detergents for the service, so all you need to do is let them in and enjoy your free time. The equipment used by our cleaners is modern – industrial vacuums, steam cleaning machines, rotary cleaning machines for hard surfaces, pressure cleaners, water fed poles, extension poles, and a lot more. The detergents we use are non-toxic and family friendly, and all your appliances will be ready for use the moment our cleaner finishes the service (except for carpet steam cleaning, the carpet would need a few hours to dry completely). We also use special detergents for each surface and fabric, which helps avoid damage, and we spot test each detergent before applying it to any carpet or upholstered surface. We provide many additional benefits to all our clients, like same day services for urgent situations, appointments during the weekends or public holidays for the same rates, customer support for all your questions and issues, the option to easily book online in less than a minute, service guarantees, maintenance tips, and a lot more. We also provide many nice discounts and special deals on some of our services, you can check them out on our website. Get in touch with us by calling 03 8400 4770, book via our online booking form, request a quote or chat with us by visiting our website.